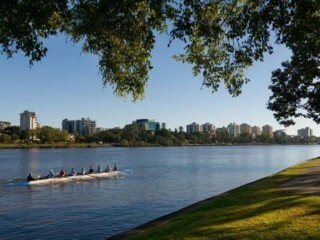 Brisbane’s eccentric West End is a melting pot of culture and quirkiness, filled with organic markets, boutique coffee shops, restaurants and bars. 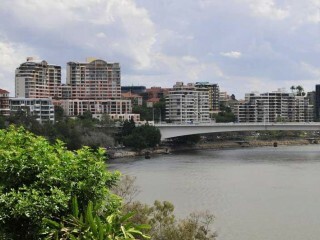 Originally named after London’s own West End, the south-western Brisbane suburb is just three kilometres from the city’s central business district, providing visitors with an alternative place to visit or stay within arm’s reach of everything the city has to offer. While visitors of all ages and stages can be found in West End’s many restaurants, eclectic shops, or at the area’s many festivals and events, the area’s many unique offerings are particularly popular with visitors in their 20s and 30s. With many accommodation providers within walking distance of major local attractions, West End has a relaxed outdoorsy atmosphere that draws guests around its laneway bars, down bustling Boundary Street, and into vintage stores. For the slightly more adventurous traveller, cheap bike hire can be arranged at a local rental store, allowing them to easily explore further afield. With Brisbane Airport only a 20-minute drive away, both domestic and international visitors can easily access the area by air travel. While some accommodation providers have shuttle services to and from the airport, guests staying at other properties can arrange car hire from the airport, or take a short taxi ride. With a total of 101 accommodation options and food services on offer, West End is well equipped to cater to those looking for somewhere to stay and play, providing a range of budget stays and luxury properties. Guests can stay in hotels or serviced apartments, or for a cheaper option, can choose to stay in one of the motels or hostels available. While West End is home to under 9,500 residents, many more travel to the area for leisure and business each year, keeping 10 percent of the local population employed by the accommodation and food services industry. With moderate to warm temperatures throughout from season to season, West End retains high visitor numbers throughout the year, with higher rates of tourism over state school holiday periods and the summer months.